Saturday, November, 11, 2017 is Veterans Day. On this day, all Americans should make time to honor the military service members who died serving this nation. It is also a time to thank the soldiers, sailors, airmen, and marines who proudly wear the uniform today. Myra came from a civilian family; I was a military dependent — the son of a Chief Master Sergeant. I followed my father’s footsteps and was commissioned as a second lieutenant in the U.S. Air Force. During our 27-year military career we raised three girls, and enjoyed seven military moves. The experience of our immediate family follows a long tradition began by extended family members who proudly served in every branch of the service, they fought, and some died in WWII, Korea, and Viet Nam. We know firsthand, that nothing makes a veteran prouder than to hear a person say, “Thank you for your service.” In addition, be sure to thank the families of military service members — they served and sacrificed too. The following list provides our 10 suggestions for how you can honor the veterans in your family, on your job, in your neighborhood, at your place of worship. BONUS: Buy $10 or $20 worth of small American Flags and take your family to a cemetery to plant the flags on the graves of deceased veterans. Our military serves 365 days a year. They serve on weekends and holidays. They miss family birthdays, recitals, sports games, anniversaries, and other holidays and celebrations due to deployment. In the days leading up to Veteran’s Day, make a commitment to thank these citizen-warrior heroes for all they’ve done and continue to do to keep us free, and keep us safe. Michael and Myra Holmes are the founders of LifeM8Z (pronounced Life Mates) Life Coaching and Marriage/Relationship Mentors. Michael served 27 years in the U.S. Air Force before he retired at the rank of Colonel. Mike and Myra enjoy helping couples learn how to give and receive love. 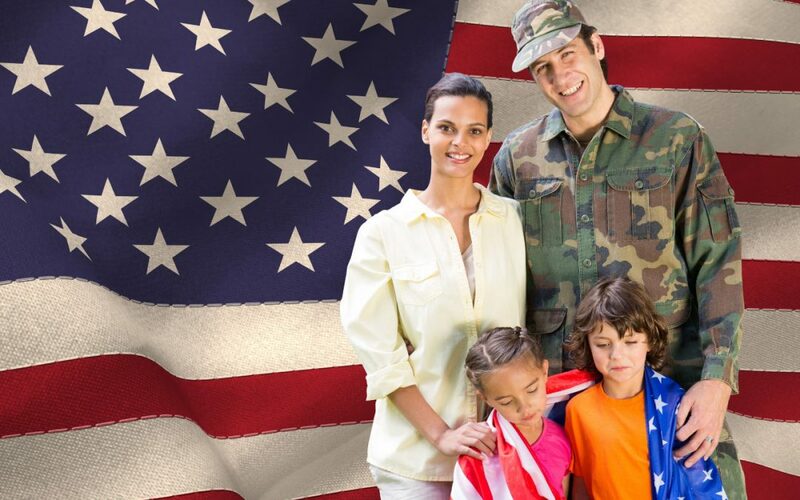 LifeM8Z is especially focused on strengthening and saving military marriages, by helping them to overcome the unique stresses of military life.